Our residential and commercial pressure washing and steam cleaning company services the entire Avondale metro area. Call us today for a free pressure washing quote! We offer residential pressure washing to all of Avondale, AZ. There is no job too big or small. 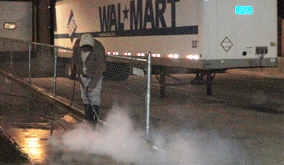 We are Avondale, AZ's industrial power washing service. We clean up after construction companies. AZ Power Wash Pros cleaning services specializes in offering premium cleaning services in pressure washing, parking lot cleaning and property maintenance services in Avondale, Arizona. We have a general liability insurance policy worth $2 Million dollars for our services in Avondale. Call us to maintain your property in superior condition all year round. Make AZ Power Wash Pros your first pick while looking for property maintaining services in Avondale. 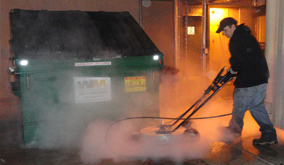 We excel in offering different types of pressure washing and commercial cleaning services. Contact us for removing the debris from residential, industrial or commercial sites and buildings of your preference. Our experts have the right equipment to remove the debris from construction sites or cleaning the concrete surrounding your building. In short, we comfortably handle any power or pressure washing task imposed on us. We use steaming hot water when pressure washing to melt away the filth and debris from the exterior of Avondale properties. Call us now and enjoy a free pressure washing demonstration at your site. 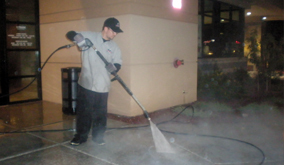 Commercial pressure washing services in Avondale, AZ. 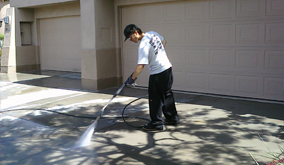 Residential pressure washing services in Avondale, AZ. Get quality services at affordable rates from AZ Power Wash Pros. You may even receive special discounts on cleaning services. Irrespective of the dimension of the dirt, our cleaners are equipped to handle any kind of cleaning job. The weekly, bi – weekly or monthly maintenance programs are specially planned to suit the cleaning demands of our commercial pressure washing clients. The property maintenance services include pressure washing, parking lot sweeping, removing dirt and filth from restroom, window cleaning, washing the entire building, sanitizing services, and more! Now you can call us and check out a demonstration of our pressure washing services and property maintenance programs. AZ Power Wash Pros, is the premier pressure washing company in Avondale, and works with environmental friendly pressure cleaning techniques. The detergents and solutions applied in the cleaning process are not harmful. Your property will be maintained in top class quality. No damages will occur with our pressure washing services offered by the trained professional cleaners in Avondale, AZ. High pressure cleaning not only helps in cleaning the impurities from deep concrete floor or walls, but also increasing the value of the used property. 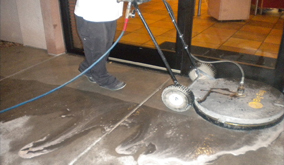 Call, AZ Power Wash Pros cleaning services to keep your commercial property clean all year long! We offer weekly, bi-weekly, and monthly property maintenance programs to our clients in Avondale. We remove gum safely without damaging or etching the concrete. 240 degree steam! We are Avondale, Arizona's premier concrete cleaning company! Restore your concrete today. We are Avondale, Arizona's premier residential exterior pressure washing service. Call today! 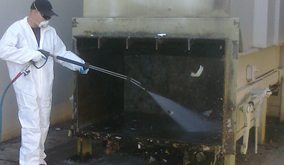 We offer high quality steam cleaning services to all commercial customers in Avondale, Arizona.